Gloria Allen has dreamed of writing a book for decades. She finally achieved that goal when she published Smoke in the Kitchen this spring. “It sounds impossible, but it’s surreal to be published here in the United States,” she said. Back in her native Sierra Leone, where she worked first as an executive secretary in the Office of the President and the vice president’s office before joining one of the ore-rich nation’s mining companies, and then starting her own business, Gloria self-published a guide for secretarial and administrative assistants and pioneered “The Secretary.” The magazine was launched by Laura Lee Peters, a former U.S ambassador to Sierra Leone. In the seventeen years since Gloria came to America, she has taken time to hone her writing skills. Gloria attended courses in article and fiction writing at New York University. She also became a member of the International Women’s Writing Guild. Gloria finished the first draft of her manuscript 10 years ago but life got in the way. 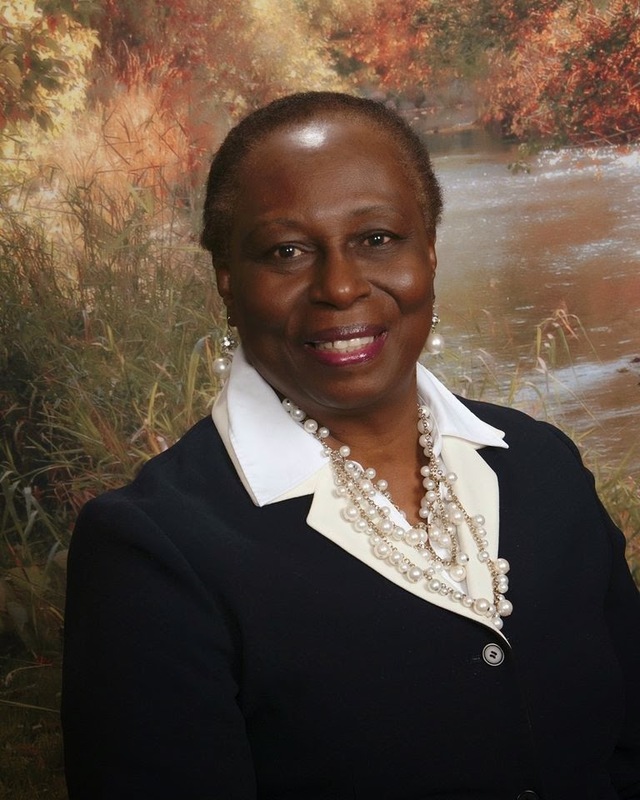 She recently retired from Rutgers Biomedical and Health Sciences (formerly known as the University of Medicine and Dentistry of New Jersey) after six years. “When I completed the first draft, it didn’t meet the standard for publication. I found a professional editor who did substantial editing. I then sent out over two dozen queries to literary agents and publishing houses and received the usual rejection responses. I reedited the manuscript a little more but it still didn’t get picked up by a traditional publisher. I then decided to explore other options as it was my goal to see this book in print." In Oct. 2013, she made a deal with Author House, one of the leading providers of supported self-publishing services for authors around the world, and submitted her manuscript. Gloria, the second of 7 children, has always been a go getter. She was the first woman to be elected president of the Rokel Lions Club when both the Lions and Lioness clubs merged. During one of the longest teachers strike in Freetown, she was instrumental in organizing representatives of the PTA, teachers, and officials of Ministry of Education to meet, resulting in a successful collective bargaining. Her journey from concept to publishing has helped crystallize her talent and creativity, she said. “The opportunity to plot this story was something I enjoyed doing, and bringing out some of the culture and the tradition of Sierra Leone was exciting. “The process, of course, was grueling; as you know writer’s block is something every writer has to deal with. I was determined to get the book published because the story in Smoke in the Kitchen, I believe, resonates with everyone in terms of overcoming adversity." Gloria left Sierra Leone for vacation on May 4th, 1997, she told Sewa News last year. Gloria says she was lucky she had her son and family in the United States, who helped with her transition. Now, she’s pushed ahead again, pioneering with a whole new exciting adventure in the world of books.What’s next for Gloria? “A poetry book is my most immediate project. I also have a character in Smoke in the Kitchen that I would love to develop into another story. I have quite a few short stories that I did during my writers’ workshop with Gotham’s and I intend to collate them into one big story. I still participate in online courses because there is so much I need to learn if I want to continue to write for this great audience." Smoke In the Kitchen is about second chances. Set in Freetown, Sierra Leone, the story is about 43 year old Sara Moses who happens to find life’s purpose where she least expects. Following the untimely death of her fiancé and her unborn daughter, her life becomes empty and meaningless. With much persuasion from her sister, she picks herself up, dusts herself off, and begins a new life. She falls in love and marries a government official. Still plagued by her challenging circumstances including her desire to have children, she starts the process of adopting. This doesn’t go well due to retaliation from an unknown source. Sara rchannels her energy by forming a reforestation society and encourages the nation to replant the forest. At the end, Sara provides a second chance to nature as well as to two innocent children. According to the World Health Organization, the smoke from burning solid fuels is estimated to be responsible for 1.6 million deaths each year in the world's poorest countries. Indoor air pollution affects poor women and small children far more than any other sectors of society, killing almost 1 million children under five every year. Almost one half of the world’s population still rely on solid fuels for their everyday cooking and heating; some 2.4 billion people burn biomass (wood, crop residues, charcoal and dung) and a further 0.6 billion burn coal. While biomass is considered a renewable fuel, the inefficient and unhealthy use of these solid fuels in the home is putting millions of the world's poorest families at risk. Particles from burning wood and charcoal make lungs vulnerable to acute lower respiratory infections, such as pneumonia and chronic obstructive pulmonary disease, and there is evidence linking indoor air pollution to asthma, tuberculosis, cataracts, low birth weight and infant mortality. Pollutants in coal smoke can cause lung cancer, arsenic poisoning and fluorosis. Lack of access to clean and reliable cooking fuels further impacts the lives of women and children by constraining time for income generation or study due to long hours spent collecting fuel and the increased risk of burns. Rural women and their families pay a high economic price for keeping the fire burning. Up to three mornings a week are spent collecting fuel such as wood. This perpetual toil prevents poor rural women the opportunity to be more productive through paid work that would raise their family’s income, improve the standard of living and enhance their nutritional and health status.